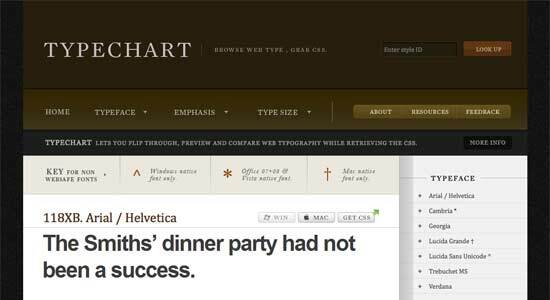 Typography is an integral part of designs that use text. There are many tools out there that are available at your disposal for helping you work with type. 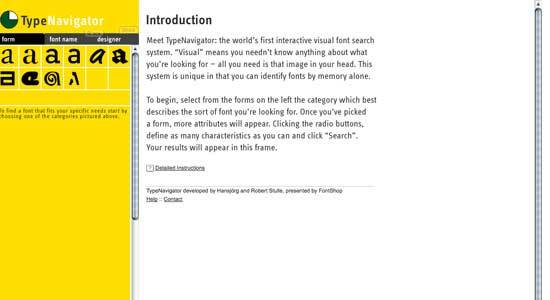 In this article, you will find a collection of the best typography tools available on the web. What’s more, they’re all absolutely free! If you’re a web designer or developer, then these tools are going to save you some serious time and effort. Take time to work your way through this extensive list and give everything a go. 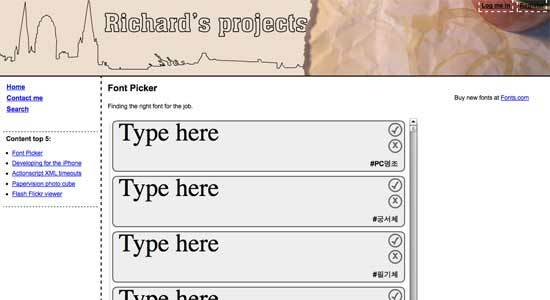 This brilliant online tool identifies fonts from anywhere. Simply scan in the font you wish to identify and it (or a close match) will be found on the database. The forum is very helpful too. Paste text into the box on the left of this online tool, adjust size and colour etc., and wait for the CSS to appear in the box on the right. Couldn’t be simpler. 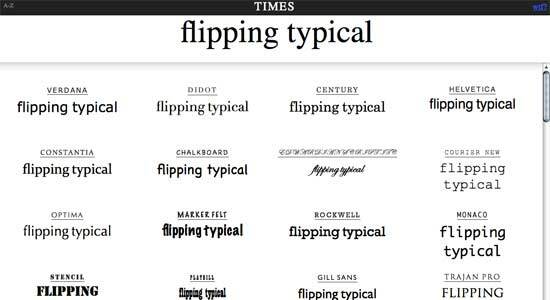 This great online application allows you to test and compare fonts side-by-side. Enter text into the Sample Text box and modify each column below. 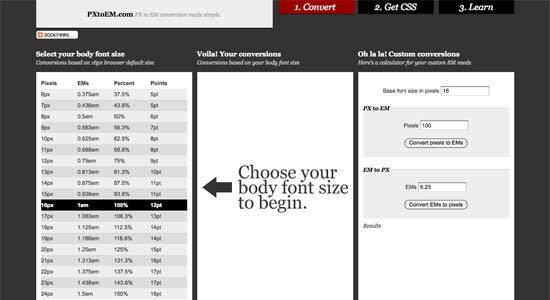 A great tool for web designers who want to figure out baselines for stylesheets, when you enter a base font size and line height, the page changes accordingly and CSS is generated for use. 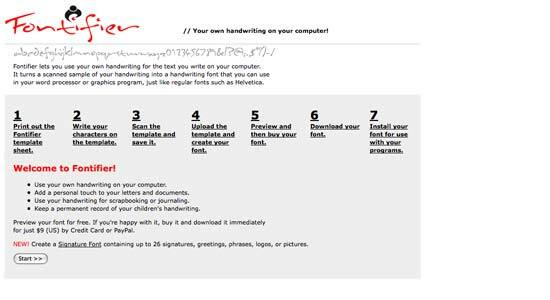 Fontifier turns a scanned sample of your very own handwriting into a font to be used as you wish. You can create the perfect font, using geometric shapes in a grid pattern, with this online font-building tool. It generates a high-quality TrueType font from that which you have designed, for use in any Mac or Windows application. 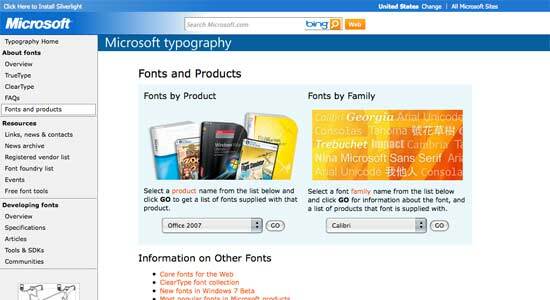 By entering the name of any Microsoft product into the left-hand box, you can get a list of all of the fonts that come with that product. By entering the name of any font family into the right-hand box, you can get a list of all the Microsoft programmes that come with that font. Easy! 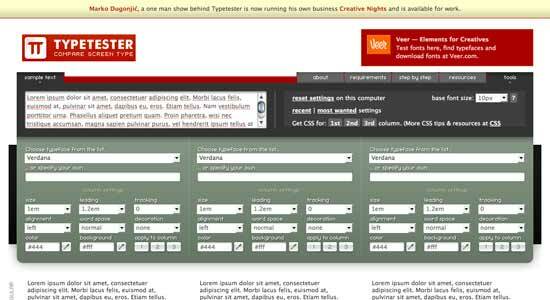 Similar to Typetester, this online font comparison tool allows you to preview a range of fonts with various styles applied. It generates CSS code too. 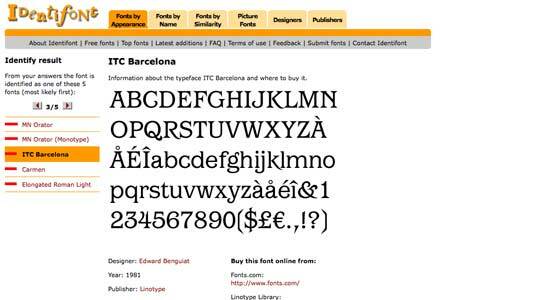 This huge online typeface directory contains font information gathered from 55 publishers and 147 vendors. You can search for fonts by name or by attribute. 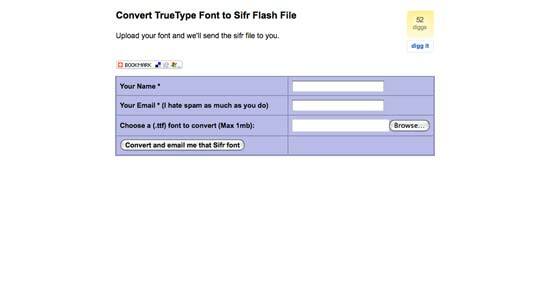 Upload a TrueType font and it will be converted into an sIFR flash file and emailed to you. 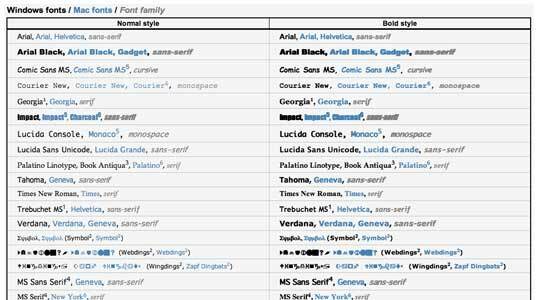 This is a list of all "browser-safe fonts" common to Mac and Windows. You can see how these different fonts will appear in different systems and browsers. 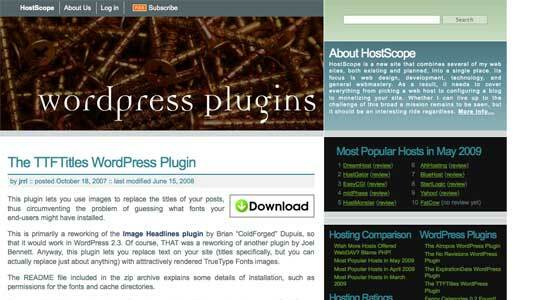 This plugin lets you replace WordPress title posts with images, so that every end-user sees the same thing, no matter which fonts they have installed. So easy to use, enter text into the box at the top of the screen to have it displayed in various typefaces below. 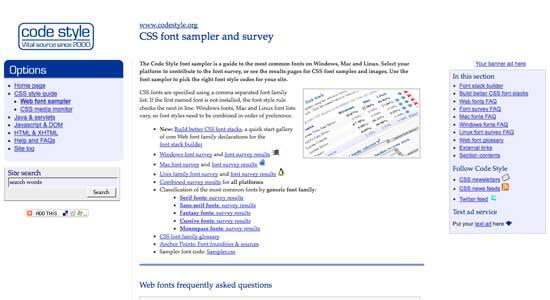 With this straightforward online tool, you can browse through, preview and compare typographic styles for Windows and Mac, and download the CSS for each. 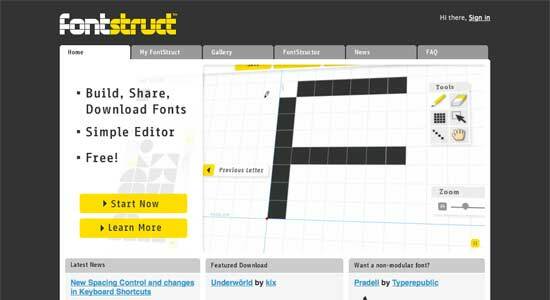 You can create TrueType fonts online in your browser with this bitmap font editor, suitable for Windows and Mac. You’re going to need to use the help pages though, because most of it’s in Japanese. 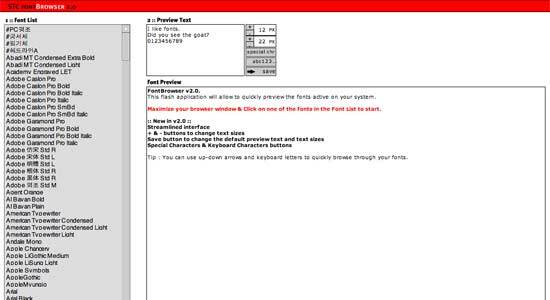 With this easy-to-use flash application, you can preview all the fonts active on your system. 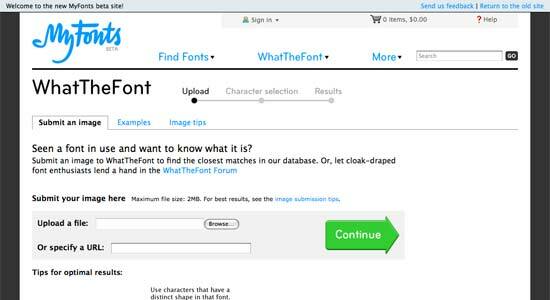 This simple online tool lists all of the fonts on your computer. 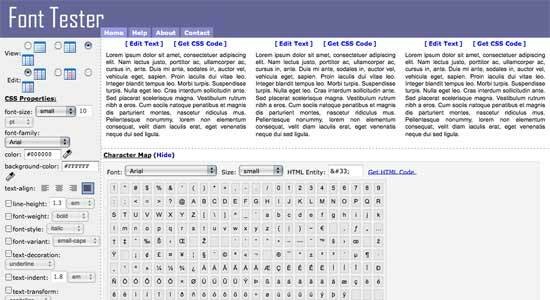 It helps you narrow down your font search and choose the ideal one for you. 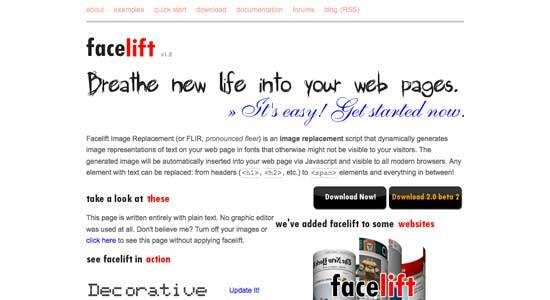 You can generate image representations of fonts that might not otherwise be viewable to end-users with this free-to-download tool. Generated images are automatically inserted into your web page. Suitable for Windows and Mac. This online calculator converts pixels, to EM, to percent, to points. This interactive online visual font search system finds the perfect font for you, even if all you have is a mental image of what you want. Choose from the basic forms on the left and keep selecting attributes until you’ve found exactly what you’re looking for. 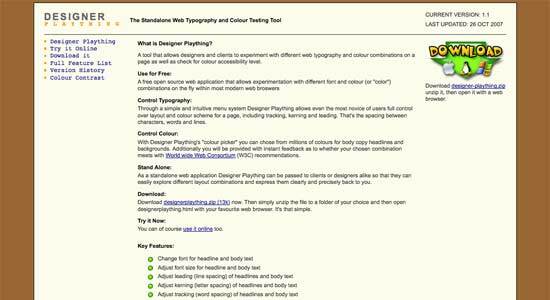 Experiment with typography and choose from millions of colours with this stand-alone testing tool. Suitable for Windows and Mac. 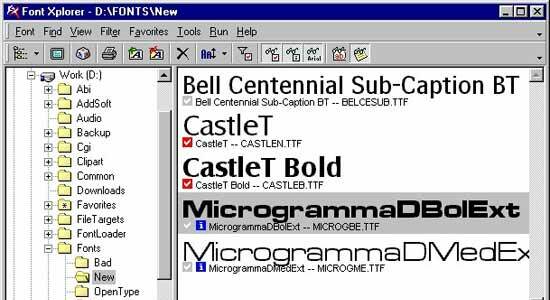 This is a guide to all common Windows, Mac and Linux fonts. 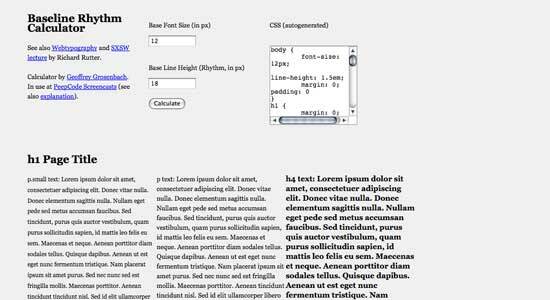 It includes font samples, images and a sampler to help you choose a typeface. 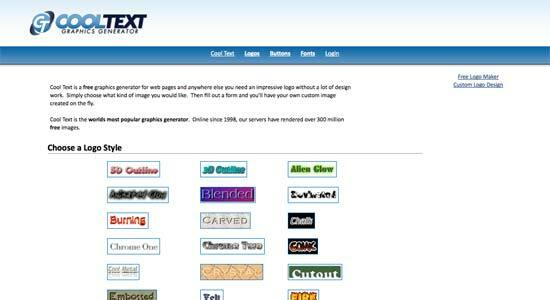 This free online graphics generator lets you create logos without the exhaustive design process. Some of the graphics look rather ‘budget’, but there’s plenty to play with here. 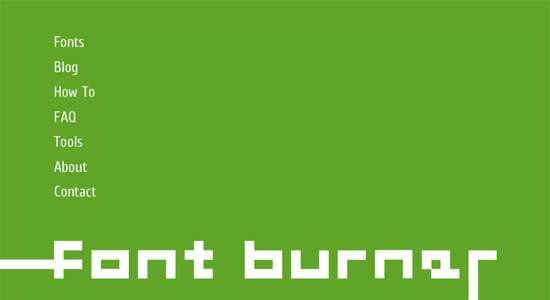 Font Burner has an archive of every font that works in every browser on every computer. 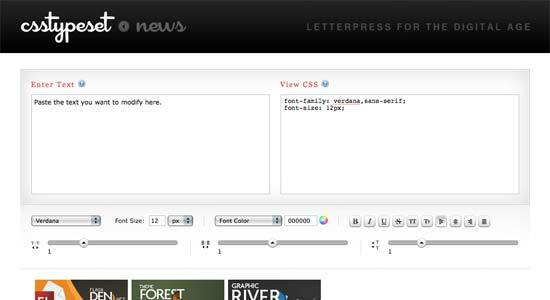 Choose the font you want and you’ll get a chunk of code to insert into the head of your web page. This free software, suitable for Windows users only, organises all of your fonts into folders with tags, like media files. Some fonts are even recognised and catalogued automatically.